Official PA news agency says Israeli forces shot Arab youth, in response to 'alleged stabbing,' fail to mention terrorist killed an Israeli. The official Palestinian Authority news agency Wafa presented the terrorist who murdered Ari Fuld Sunday morning as a victim of an Israeli shooting. 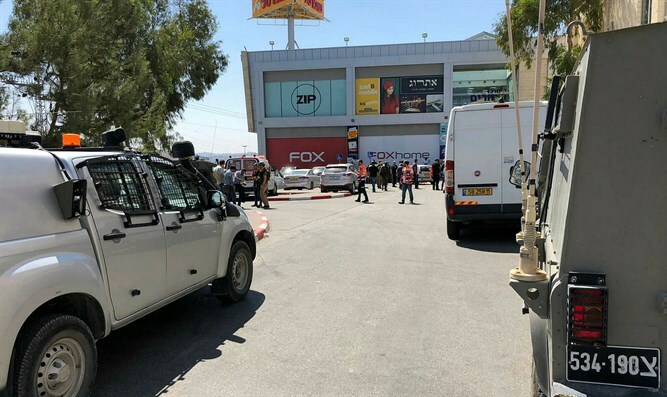 The body of the article read: "A Palestinian young man was injured by gunfire on Sunday when he was shot by Israeli forces, after he allegedly carried out a stabbing attack targeting an Israeli settler in Gush Etzion settlement complex, near Bethlehem in the southern West Bank." The article continued: "The Palestinian Military Liaison said the young man, who comes from the Makhamreh family from Yatta town in the southern West Bank, was lightly injured after being shot by the forces." Ari Fuld was stabbed in the back by a 17-year-old terrorist from the town of Yatta near Hevron. Fuld and another armed civilian shot at and neutralized the terrorist before Fuld collapsed from his wounds. He was taken in critical condition to Shaare Zedek Medical Center in Jerusalem, where he was pronounced dead.